Think ‘Le Mans’ and think of ‘THE RACE’ but there is far more to this wonderful city. Known as Le Cité Plantagenet, Le Mans is where Henry II was born and hoped to die. But for his ghastly son, he would have. This was Henry’s city, a city he loved, a city his son Richard the so called Lion Heart, took with his ailing, ageing, father inside it. When Richard stormed Le Mans, Henry ordered the suburbs be burnt to impede his advance but the wind turned and set the city on fire. A humiliated Henry was forced to accept his son’s terms. Persuaded to give him the kiss of peace, instead Henry hissed in his ear ‘God grant that I die not until I have avenged myself on thee’. A broken man, he was taken from Le Mans to die at Chinon. 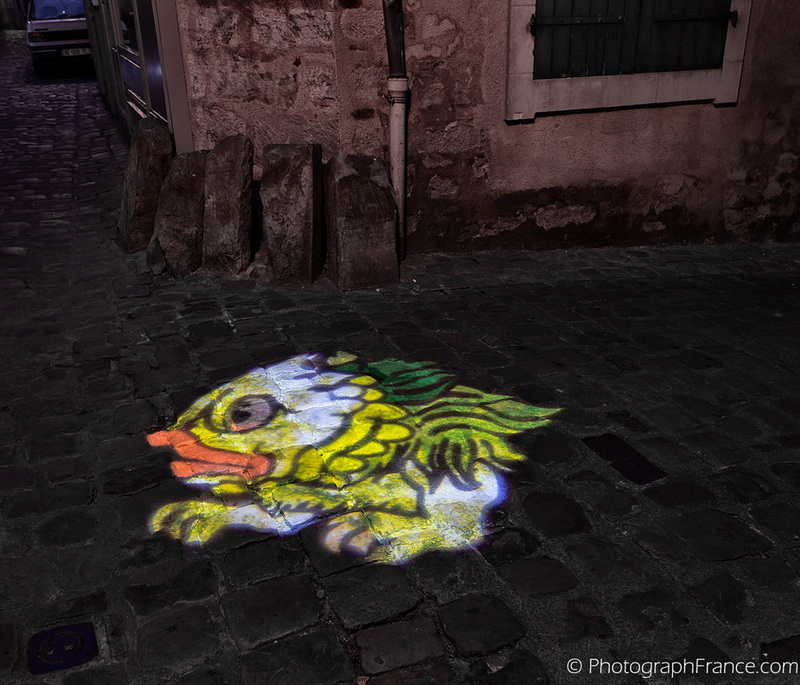 One of my favourite times in Le Mans is La Nuit des Chimères (night of the chimeras – mythical beasts). As you climb the steep narrow street to the cathedral admiring the half-timbered houses you discover multi coloured gargoyles and beasts projected on to the cobbles.